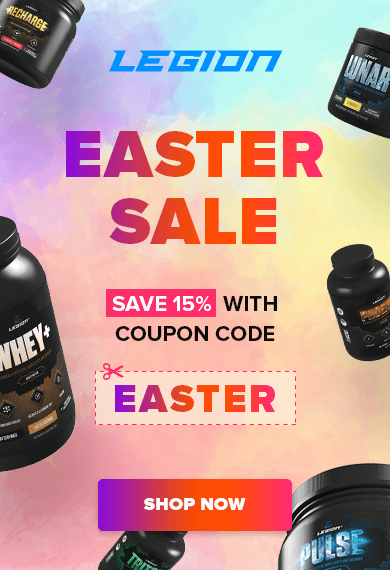 It’s easy to fall into a chicken and turkey rut, especially when you’re dieting for weight loss and can’t “afford” the calories that come with some of the tastier types of meat. Enter the unsung hero of animal protein: seafood. It’s incredibly nutrient dense and generally low in calories, and it’s also a fantastic source of omega-3 fatty acids, which provide a whole host of health benefits. Just a couple servings of seafood every week can make a difference, and thankfully, there’s a lot more to seafood than fish sticks, tuna salad, and fried filets. 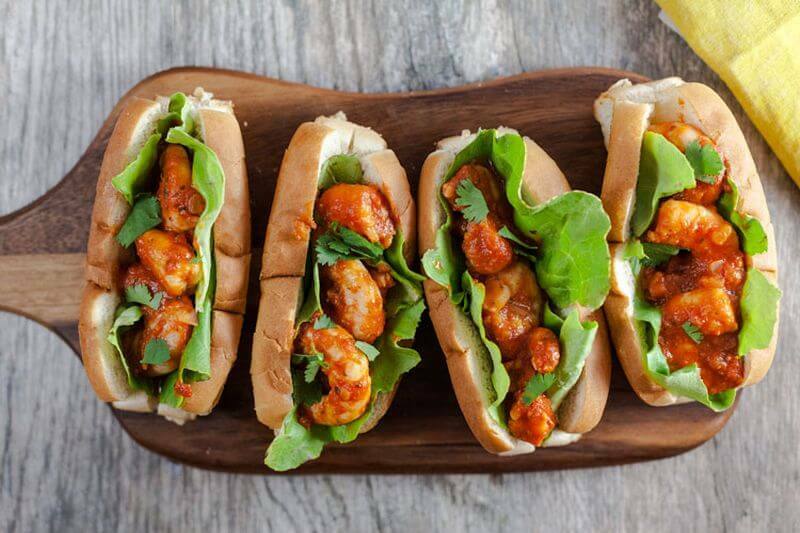 These 20 healthy seafood recipes a proof. They’ll help you make the most of your favorite fish or shellfish. Not sure what to serve with shrimp? Prepare it with a spicy tomato sauce, and all you have to do is spoon it into a roll to have a filling meal. First, cook some onions, and then add crushed tomatoes, vegetable stock, and Sriracha for the sauce. Simmer that for 20 minutes, and then add the shrimp to cook. Serve once they’re no longer pink, and sprinkle with fresh cilantro or parsley. The go-to meat to use in a quick pasta sauce is anything that’s ground, like beef or turkey. And while that’s convenient, it’s actually even easier to replace those proteins with a can of tuna because you won’t have to worry about cooking the meat to the right temperature. Aside from boiling water for the pasta, the only work is to heat olive oil in a frying pan, cook garlic, and mix in the tuna. Season, and serve. Seafood might seem tricky to cook because it can get rubbery or dry out. But once you give this recipe a try, you’ll realize it’s possible to make a fool-proof dinner of shrimp and scallops. It couldn’t be easier when you set your oven to broil. Melt butter in a large roasting pan, and stir in white wine and lemon juice. 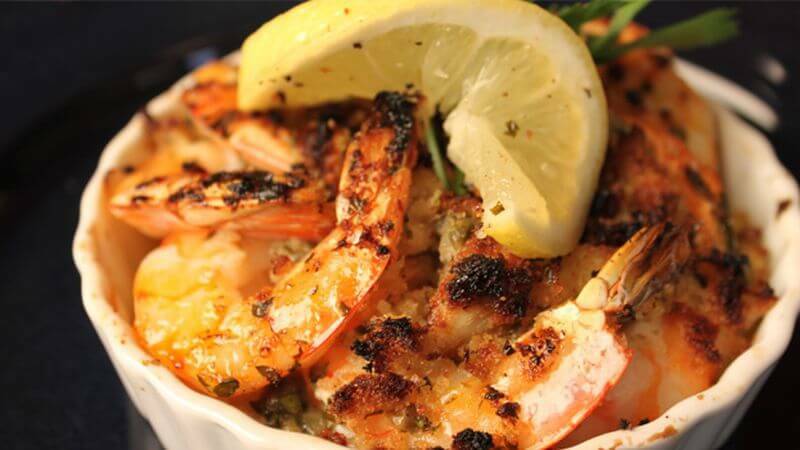 After you coat the seafood in the sauce, it only needs to go in the oven for a few minutes before dinner is served. 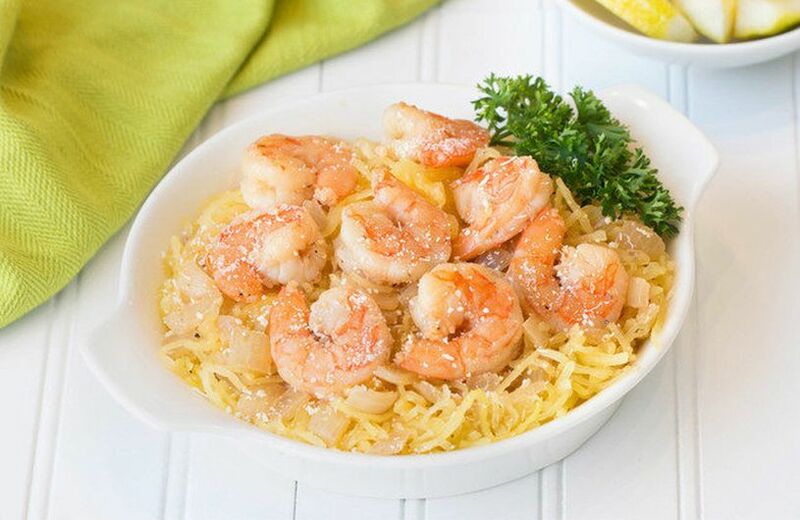 Compared to whole-wheat noodles, spaghetti squash has a naturally sweet, buttery flavor. 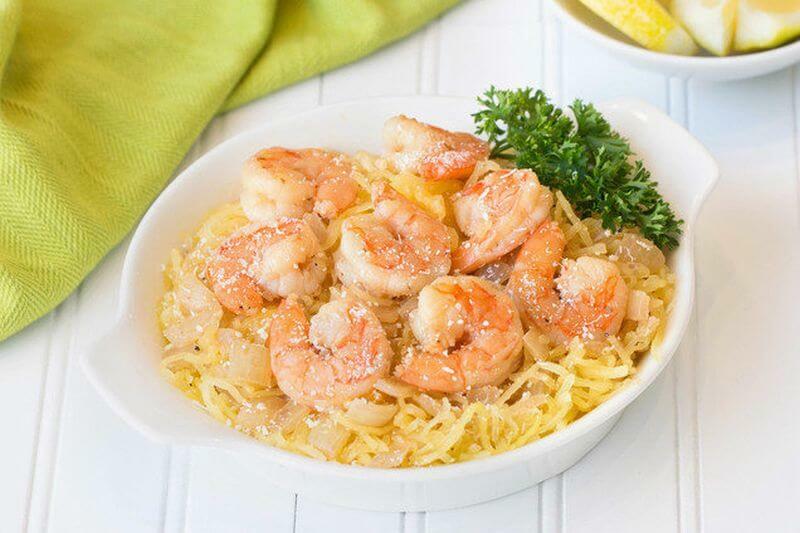 That makes it perfect for a shrimp scampi, even if you aren’t concerned about cutting carbs or going gluten-free. Instead of boiling a pot of water on the stove, halve the spaghetti squash and roast it in the oven. The cooked squash will shred apart into strands like noodles. When it’s almost finished, sauté shrimp in white wine and lemon juice. Plate them up together, and sprinkle on some Parmesan cheese, if desired. Instead of going through the drive-thru at the nearest burger joint, swing by the grocery store on your lunch break. Making a quick meal at your desk from scratch might sound impossible, but the trick is to get a can of tuna. Mix it with diced veggies like bell pepper and jalapeno – you can get the pre-cut kind at the store, or bring them prepared from home. Then the only seasoning you need is salt and pepper, plus a splash of lime juice. 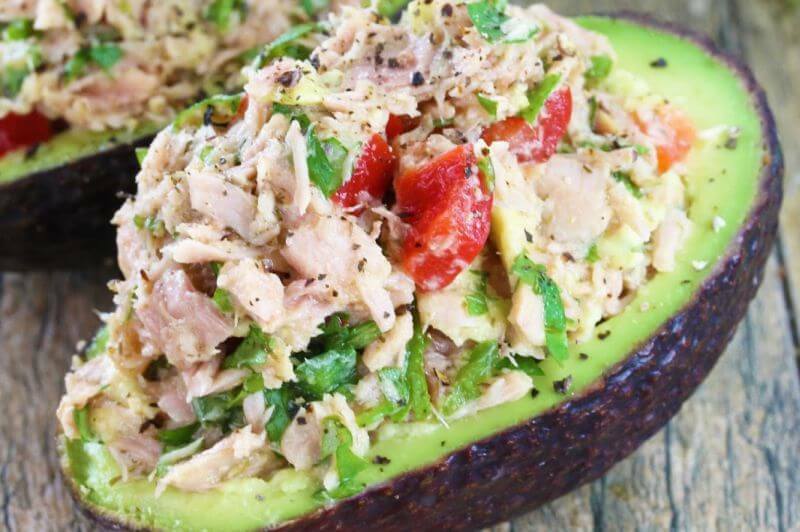 Spoon the tuna mix into the middle of a halved avocado, and dig into a meal full of healthy fats that’ll keep away food cravings until dinner. If the idea of canned tuna is unappealing, rest assured there are ways to make the convenience food into an unrecognizable – and highly appetizing – dinner, and it doesn’t even take much work. What you need are some ingredients to complement the fish, plus a preparation method that goes beyond flaking the tuna into a salad. These burger patties have a mix of sweet and savory flavors with pineapple, ginger, and garlic. A bit of almond meal and an egg binds them together. Tuna casserole sounds like something straight out of the 1950s – and not in a good way. Re-envision this classic weeknight dinner with this risotto pie. You’ll need a spring-form pan if you want to present it in this mouth-watering way, but this is a no-fuss dinner. 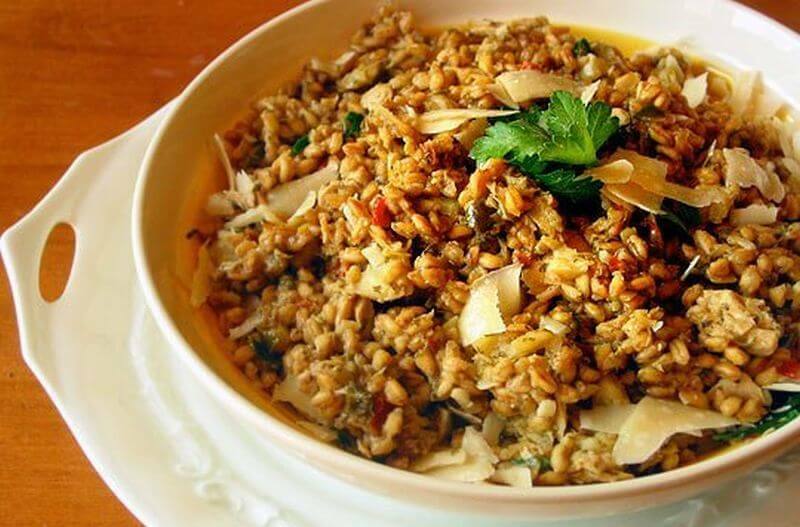 The rice is first to be cooked with onion, garlic, and chicken stock. Then everything gets stirred together, transferred to the pan, and baked. This also freezes well, so you can take the leftovers to work for lunch later on. Every summer it doesn’t take long for me to get bored with picnic-style salads made with mayo. 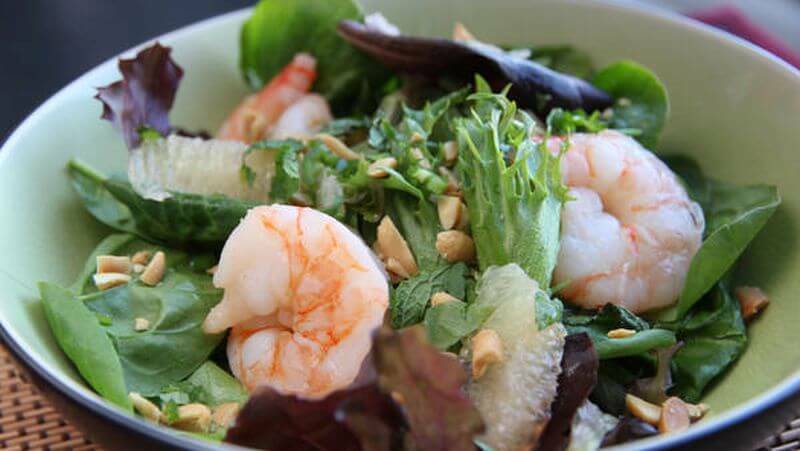 But that doesn’t mean avoiding shrimp salad altogether. This one is packed with Southeastern Asian flavors and plenty of healthy, delicious ingredients like grapefruit, peanuts, and fresh herbs. When you need an easy-to-follow recipe that’ll liven up your meal plan, look to Mark Bittman’s cookbooks like How to Cook Everything and Fish: The Complete Guide to Buying and Cooking. 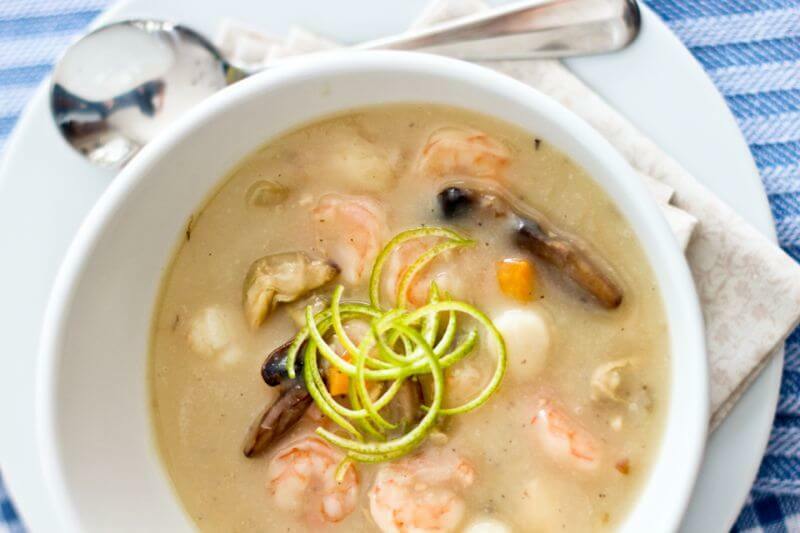 Even picky eaters who don’t usually chow down on seafood can get into a great chowder. However, that’s often because the rich soup is loaded with heavy cream and butter. To err on the lighter side, this one actually uses mushrooms to create the rich flavor and cauliflower for the creaminess that you’d expect in a seafood chowder. 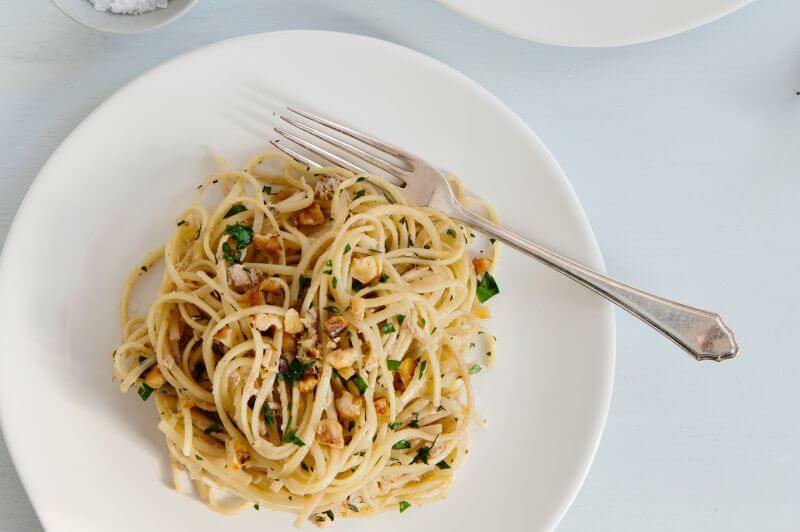 And with a mix of shrimp, scallops, and baby clams, there’s plenty to love with only 3 grams of fat per serving. 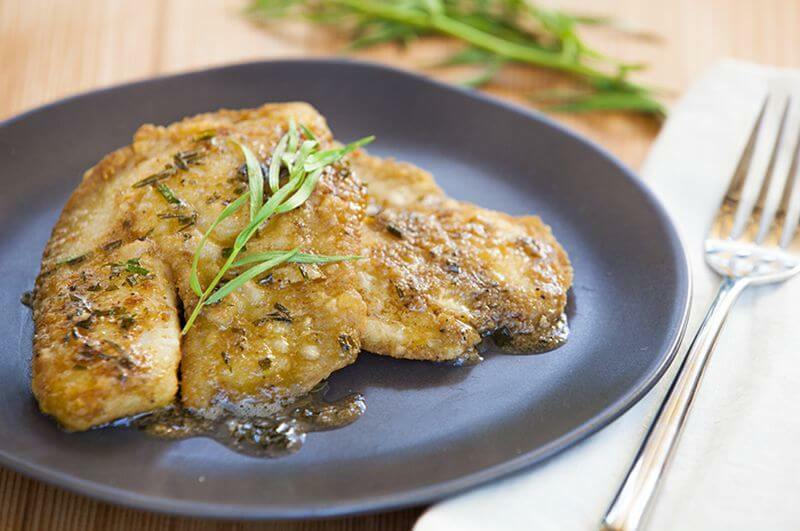 Although a fillet of fish is easy to pan-fry on the stovetop or bake in the oven, it’s even simpler to prepare when you use a slow cooker and a piece of aluminum foil. 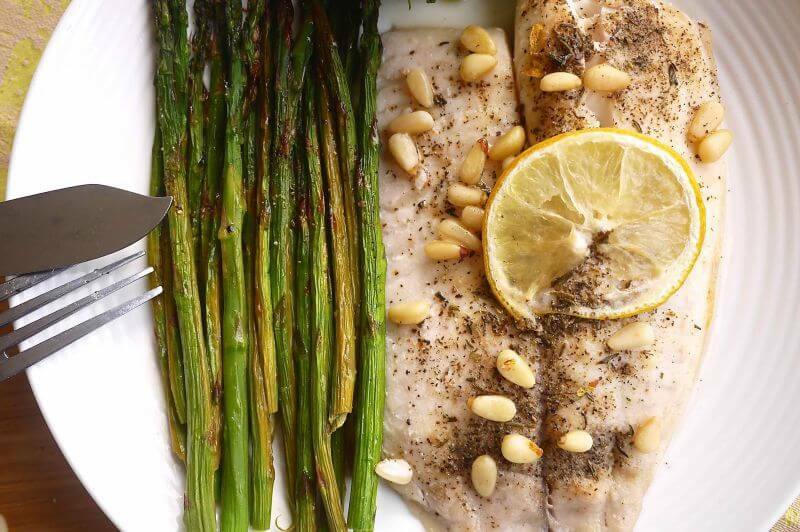 Each portion of fish and asparagus is wrapped in foil with seasoning, lemon juice, and butter. Then fit them all in your slow cooker – stacking the foil packets is ok – and set it to high for a couple hours. If you are cooking fish from frozen, add an hour. Fancy restaurant dishes like salmon seem like they should take a lot of effort to make at home, but when you start with quality ingredients, you don’t need much more to make a gourmet meal. 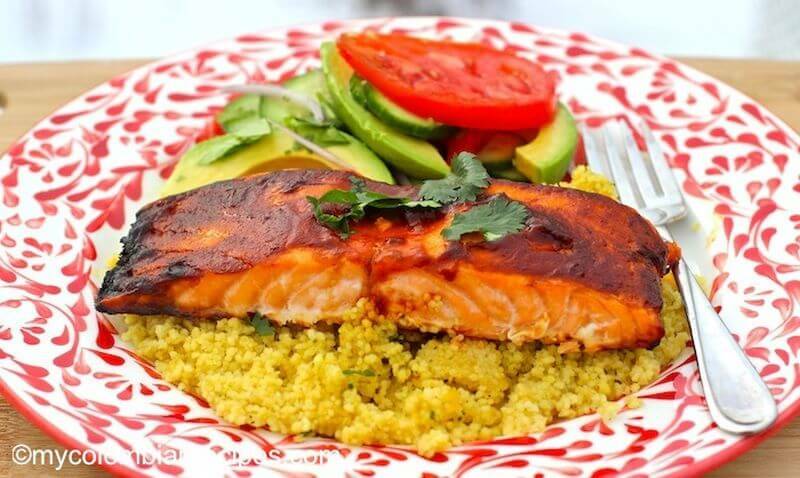 To add some smokiness to this broiled salmon, make a chipotle-honey glaze with orange juice and garlic. This fish entrée is so flavorful, you’ll only need a simple side dish like quinoa or mashed root veggies. 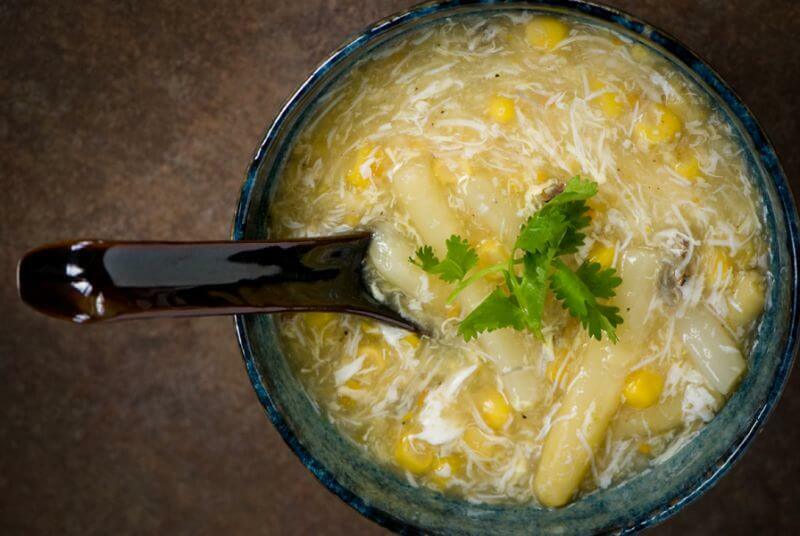 The best part is this is an extremely easy, quick soup to make. Boil water, cook the crab, corn, and asparagus together for 15 minutes. Turn off the heat to add the egg. Then seasonings go in with flour and cornstarch to thicken, and it simmers for just a few minutes before it’s ready to serve. When you bring home a bunch of fresh-caught seafood, you’ll want to make a dish that highlights the natural flavor of the fish, shrimp, and mussels. You can bathe it in butter and coat it in seasonings when frozen, but fresh seafood can practically stand alone as a delicious entrée. 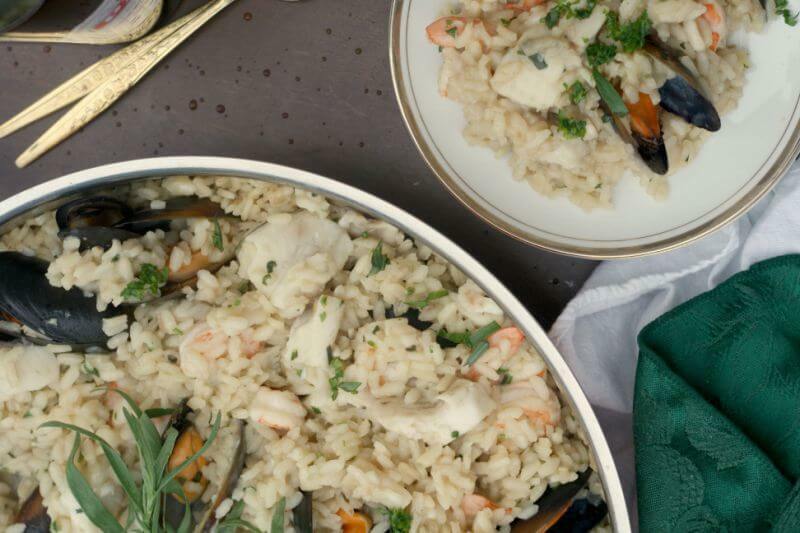 In this dish, a mix of seafood is cooked with a creamy risotto that’s ready in a little over a half hour. One of the best things about eating white fish is how healthy it is – packed with protein, vitamins, and minerals like selenium. But nutrition isn’t the only benefit. Since white fish has a light flavor, it’s a great way to showcase other ingredients. If you have a well-stocked bar, or just love martinis, reach for a bottle of vermouth next time you’re preparing a lean fish dinner. 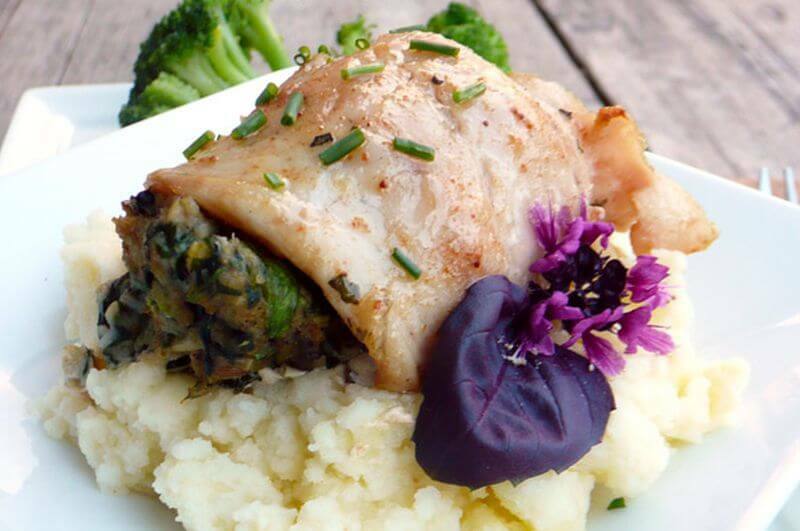 Since it’s infused with up to 20 kinds of botanicals like elderflower, mugwort, and mulberries, your fish entrée will wind up with a complex, gourmet flavor. 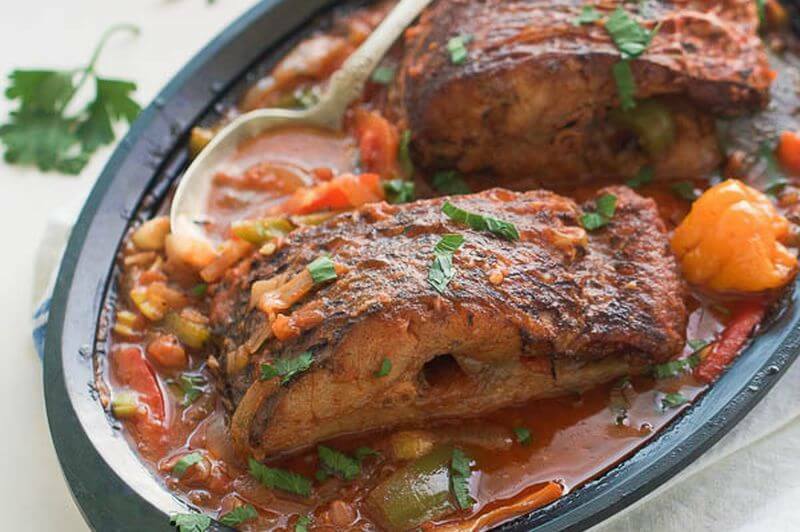 To make amazing fish, you can’t go wrong with a recipe that comes from coastal cultures like the Caribbean. This fish stew starts with an amazing marinade with fresh ginger, white pepper, and thyme. Then the stew has tomatoes, onion, more ginger, more thyme, and bell pepper. For the real deal, you’ll want a super spicy Scotch bonnet pepper. But if you can’t find one in your grocery store or want to tone down the heat, substitute a couple big pinches of cayenne. When a classic recipe requires a lot of ingredients, it can be intimidating. 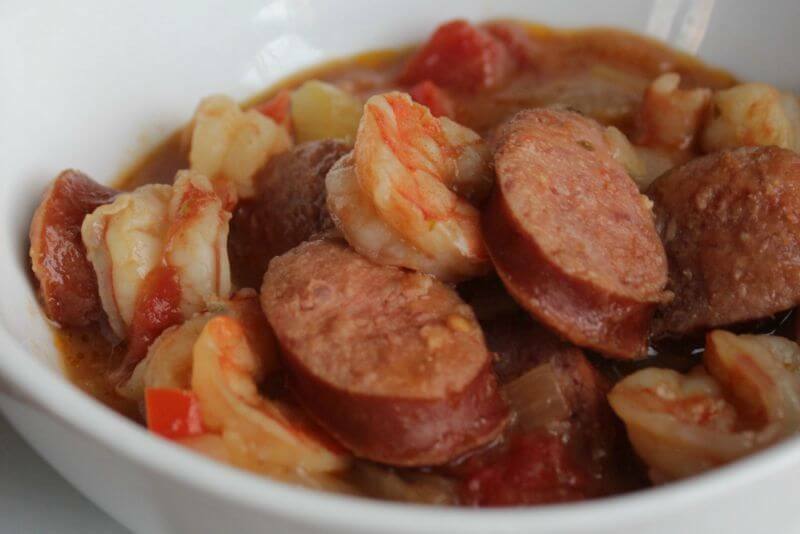 That’s when you should get out your Crock Pot so you don’t have to worry about the prep itself so much as rounding up the seafood, sausage, and other foods you need for a good gumbo. Shrimp is a classic Cajun ingredient since it’s in abundance in the bayou, but so are other kinds of seafood like crawfish, crab, or catfish – all of which can be added to gumbo too. Tired of tuna salad? This one-dish wonder will help you use up your stockpile of canned tuna without growing weary of the stuff. And although it sounds fancy, you can pick up all the ingredients you need at Trader Joe’s, Whole Foods, or a similar grocer. When you grill fish, you might be wondering what to serve it with besides a salad. Don’t worry about prepping a separate side over the coals. A corn salsa is easy, healthy, and can be made ahead of time. Altogether, this fresh and flavorful dinner takes less than a half hour to cook and get everything on the table. What’s better than flaky, tender fish? Stuffing the filet with more seafood. 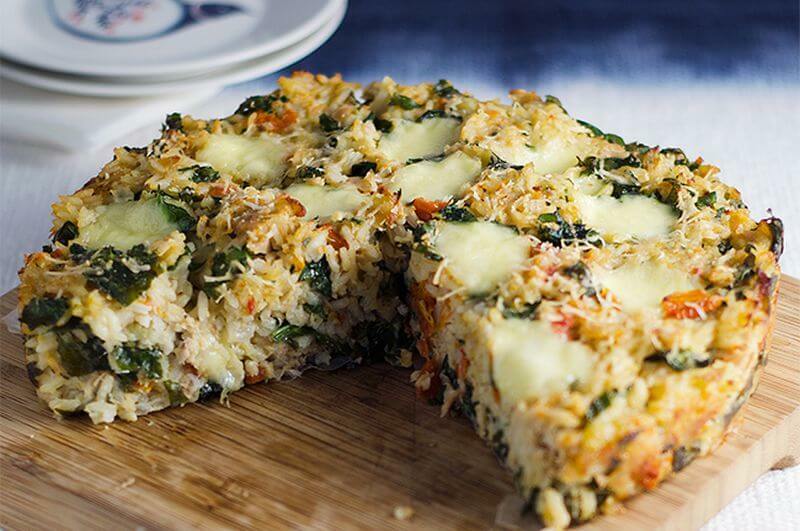 This recipe has added nutrition from spinach so you’ll feel good about eating it. But it also has crab meat for rich flavor, plus Old Bay seasoning and cracker crumbs for a touch of comfort. This is perfect for special occasions or when serving dinner for guests, but after you make this recipe once, it’s easy to assemble on a weeknight when you have something to celebrate. 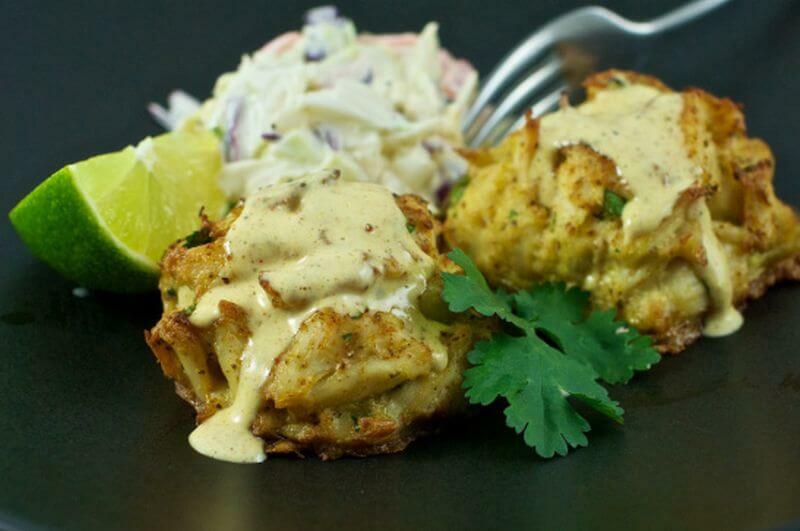 Crab cakes are hardly anything new, but they’re usually pan-fried in a pool of oil. Delicious as that is, it’s not the kind of thing you can eat on a regular basis – that is, unless you bake them instead. 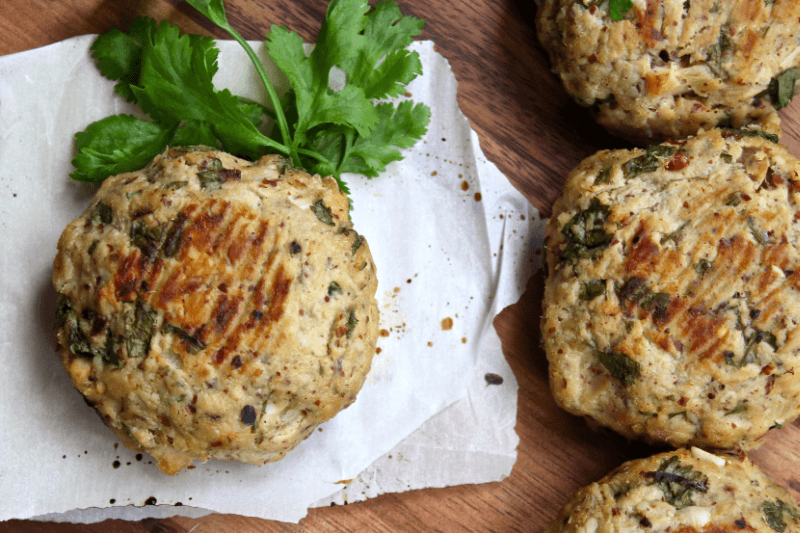 These retain all the flavor you love but contain an unbelievable 3 grams of fat per crab cake, and they come out to less than 100 calories apiece. 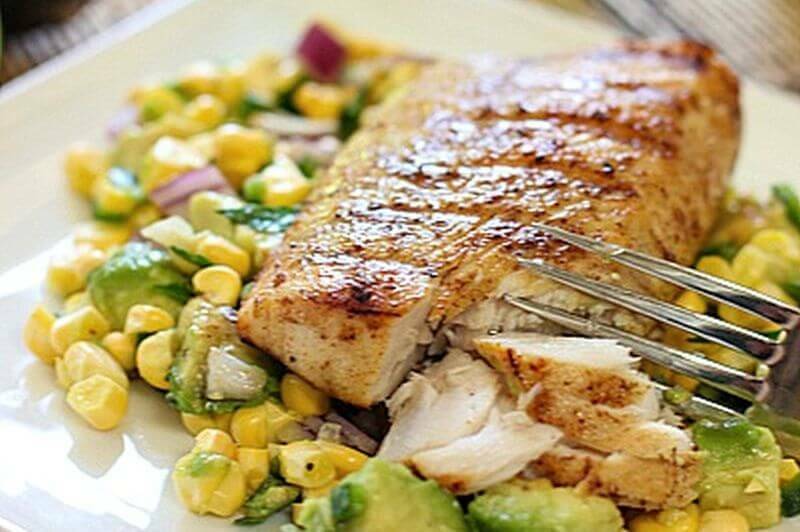 What did you think of these healthy seafood recipes? Have anything else to share? Let me know in the comments below!